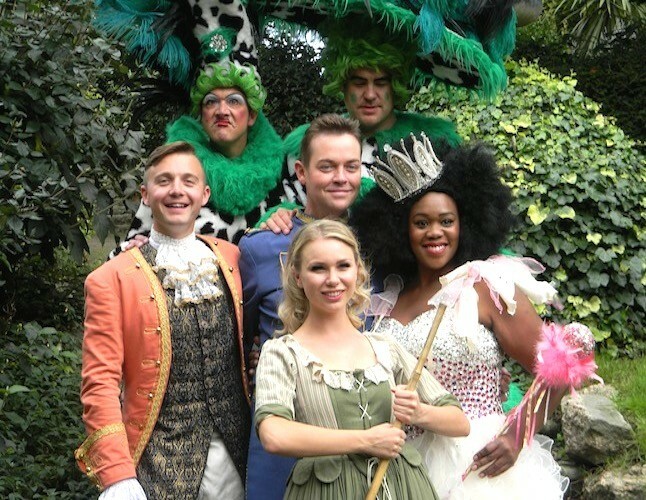 Starring Stephen Mulhern from Britain’s Got Talent as Buttons, Lisa Davina Phillip, who jumps from the West End Stage of Matilda into her fairy godmother and Joanna Sawyer as Cinderella. 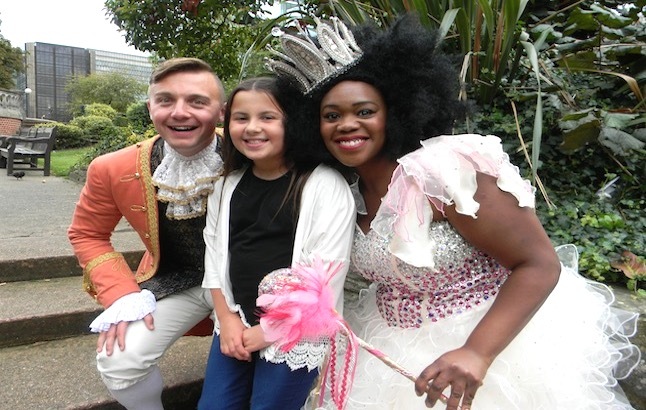 The Positive’s child writer Yasmin Giannini, aged 10 years, caught up with the all-star cast of Cinderella to find out the secrets behind the exciting festive panto! 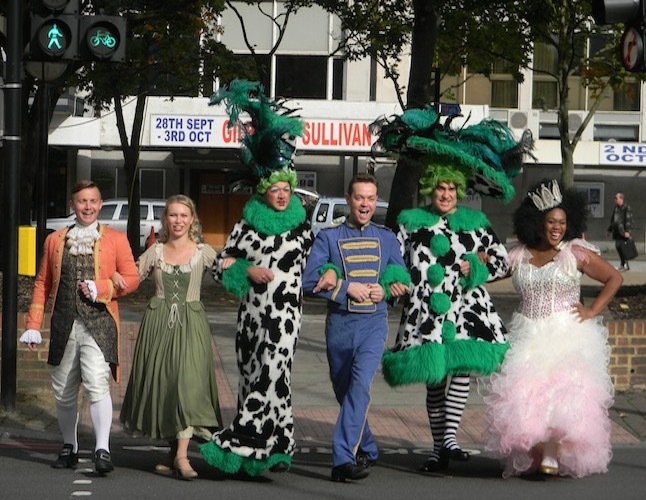 Croydon is set to have its best panto ever as it predicts record sales for this year’s all-star production of Cinderella. As fans of the Fairfield Halls’ yearly festive show, I was really excited when they invited me along to meet the cast and to get a behind-the-scenes peek at the surprises that they have in store for us. Wow! This is going to be an incredible panto. 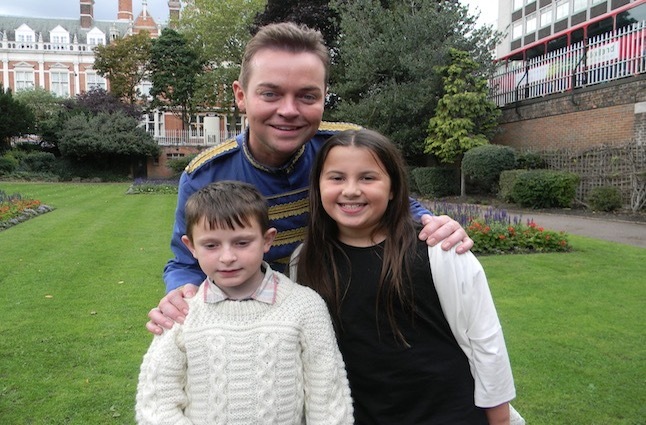 Starring Stephen Mulhern from Britain’s Got Talent as Buttons, alongside Lisa Davina Phillip, who jumps from the West End Stage of Matilda into her fairy godmother dress for her first ever panto and Joanna Sawyer as Cinderella – this is a panto that’s full of stars we all love. “I love Croydon. I wish I had been back here sooner. 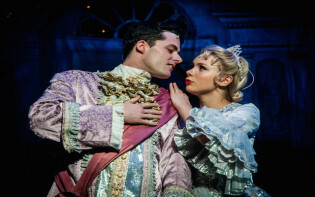 I first played Cinderella here and now I’m back doing it again – it’s my favourite panto tale,” explains the TV star. “Buttons is my best role in panto without a doubt. 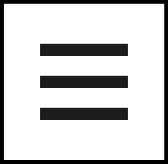 If I [may] play Buttons every year I might. I get to do happy, pathos and humour all in one show – I love it!” beams Stephen with the biggest smile in the world. We meet Stephen and he was SO wonderful! “Ha ha ha! Far from again may they come to my panto!” shrieked Stephen , “Emma Willis and Holly Willoughby may definitely come, instead of Ant & Dec. After that last practical joke, stay away!” Ooooh, I think he’s secretly hoping for a sequel on that one Ant & Dec! “Panto is all about unexpected changes, it’s an essential part of the tradition of panto and we write a lot of the unexpected changes into the script from the start. However then real unexpected changes happen by chance and they can be the funniest thing you’ve ever seen, so we keep them and add them into the show to make it even better,” explained Matt. “My advice to the audience is SIT NEAR THE BACK! !” He may leave his explanation there, however the twinkle in his eye means it’s going to be a lot of FUN!!! I am so looking forward to it!